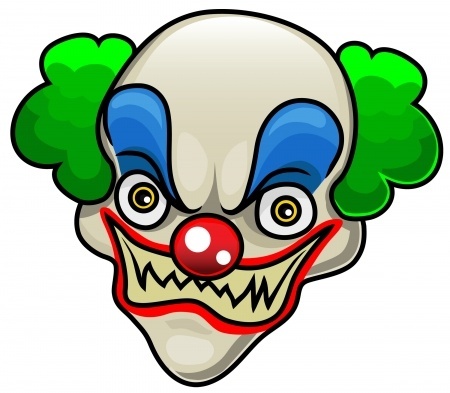 If you have ever seen Poltergeist you will know what why people are terrified of clowns. Creepy clowns, especially ones under your bed. They may come in doll form, but trust me, those things have large teeth and like to take over your television with a nice level of scariness. Turn off the lights if you dare – unless you are at work, then don’t. One of my favorite ghost stories is the one with the guy who has a hook and the teenagers are chilling in their car (you know – wink, wink) and then a screeching sound and it is not hook guy opening a can of tuna. Nope, it is the Tin Can API. In this scary version, the LMS vendor is holding off implementing the Tin Can API until they see how it plays out. Plays out? While I understand their approach, what I don’t understand is their fear of the unknown. Not understanding their own market. You do not need to be a fortune teller to see that Tin Can is one of the biggest buzz words in the past six months. Whether you see that as good, bad or indifferent, the reality is that you (vendor) has to listen and pay attention to what is happening in the space. Many don’t. Failing to see the rock right before it smashes them in the head (no doubt by the creepy hook guy). This ties back to failing to see the value of it and where it can lead to. Today it is mobile devices (ideally the tablet), tomorrow it could be the XBox 360 or some other home media center. Three years from now? Your own smart TV or blu-ray player or some emerging technology. SCORM. For other versions, like SCORM 2004 3rd edition, I know quite a few vendors who didn’t see value in it/had challenges with adding it – time consuming as one vendor told me. Thus Tin Can API could easily follow suit from many vendors’ perspectives. Anyone remember the local crazy woman who got out of Knolls Hills (it sounds scary) and then ran around with an axe seeking revenge on those who did her wrong? Apparently the reason she went into Knolls Hills in the first place, was that they failed to give her their built in assessment and instead outsourced it out to Roger Caldwell Alexis Tupperhead aka RCAT. You see in the last couple of weeks, I have ran into a few vendors who are yanking or decided not to include a built in assessment tool. Now, remember over 98% of systems have assessment tools built into, because well – people want them that way. In this latest scary episode, some vendors feel that it makes more sense to not have it, because you know everyone has a RCAT or an authoring tool with assessments built in. Is that the same sense the fine folks at Knolls Hills thought of when they decided to have their assessment outsourced to RCAT? Because if it is – it makes no sense. For RCATs who have assessment tools – they tend to have at least T/F, M/C single answer, matching and hot spot). Not all of them have M/C multiple answers, nor do they have some various types of questions, or timed questions. Many do not have essay. Quite a few do not have a quiz bank nor randomization. Did I mention that not every RCAT has an assessment tool and not everyone uses the same RCAT or even uses a RCAT? The other week I found this envelope on my doorstop. It had my name on it, but did not say where it came from. Nor did it have any postage on it. I must admit, I was intrigued. I opened it and asked myself is this a survey or an assessment? It was a good question, because in the LMS market, identifying the difference is no longer a simple thing to do. You see, the number of actual survey tools within a LMS is not that great, rather it often tends to be their assessment tool (excluding those who do not have one). In many cases, the way it is spun as a survey is the qualifier “Likert scale”, which is one type of question – actually a statement that can appear in a survey (oh, it can also appear in an assessment too). There are systems that have both – an assessment tool and a survey tool – but it is not universal in the LMS space and that is really scary. Some systems try to say they have a survey tool – which they call a poll – and also have an assessment tool. I’m sorry that is not the same thing. That is like saying I have an zeppelin when in reality you have a helium balloon. I know of a few systems whose survey tool could match what is offered in survey monkey, yet as noted above, it is neither universal in the space or even 10% of the market. True you could just get an API and stick it into the LMS, but instead of just having to pay for the LMS, you pay for survey monkey (licenses) and pay to have that API placed into your LMS. How difficult is it to have a really good survey tool (heck, I’d take good) along with an assessment tool? Also, with the power of m-learning why are we not seeing more real time survey questions/assessment (aka test, quiz) questions being asked when the folks are either in the classroom or sitting in a seminar? Yes there are products that do that and yes you can buy them, but why? Why can’t it be part of the LMS? No need to tell a ghost story here, because this alone will frighten you. There are LMS vendors who charge consumers to have their (LMS) logo removed from the LMS that the consumer just purchased. I’m not talking about $5 here, in some cases it can be well over $2,000. Honestly, I find it revolting. What is worse – and that is hard to believe – there are vendors whose logo or tagline or both has to appear in the LMS you just bought. Yep, even if you were willing to pay to remove it – you can’t. Wait it gets even more worse than that. Ready? Their tagline, logo or both stays on the system and the URL says their name followed by yours or your LMS name. Now, the latter is quite common in the industry and while you could buy your own domain and then use URL masking, it wasn’t ideal and most people had no idea it was doable (consumers I mean). But this ghost story does sort of have a happy ending – okay a happy middle part. More vendors are now including a custom domain rather than having their name as part of the URL, and for that – I wish you only the best (mental note: remove pins from strange looking doll with your name on it). I could finish up with creepy clown level one, but I want you to get a good nights rest. Especially since I just found out that the hook guy is getting married to crazy Mary and they are moving in next door. Always enjoy your take, Craig – concur with your views on Tin-Can…stripping away the taxonomy, and technical nuances, what is controversial about the concept of a life long record of learning and experience? I assume you are referring to Learning Record Stores. Personally, I have some real concerns and even folks in the industry i.e. LMS vendors (those I chatted with) have the same concerns. a. What if the student goes to a school that does not have a LRS – where is that data record stored? Is it stored on the previous system, in some storage site, etc. b. What is contained in that LRS – I mean if a student or learner who has completed X or Y courses and those courses are not being used in the new LMS or not seen as relevant by the new company – what will it mean to them in that data record? c. How will the privacy issues in such countries be addressed – such as Germany? Furthermore, how will it work in compliance with safe harbor? d. On the corporate side – how many companies allow their former employees to leave with any work that was completed at that workplace? I’d say not many – even at startups or tech companies. Definitely not in Financial Services. And I would argue that taking courses within a LMS at your company and completing or taking courses of a proprietary nature – is not going to go anywhere. e. With what has been exposed with NSA, how will that come into play for companies outside of the U.S. – Before you laugh, I have heard of vendors who told me that some potential customers are worried about having their SaaS LMS because of the Patriot Act. f. Beyond that security – security alone plays a big part. Lastly, right now it is not ready for prime time, and until all those issues have been addressed along with a few other concerns I have – I wouldn’t recommend it to any consumer to use. Thanks for asking and thanks for reading.